The Tyler Prize for Environmental Achievement honors two experts on air pollution with the 2012 Tyler Prize for their work to advance the scientific understanding of air pollution, and develop solutions to reduce the danger to human health and the impact on climate change. John H. Seinfeld is recognized for his groundbreaking work leading to understanding of the origin, chemistry, and evolution of particles in the atmosphere. The fundamental understanding of the physics and chemistry of urban and regional air pollution that emerged from his research served as the basis for action to control the effects of air pollution on public health. Kirk R. Smith is recognized for his work identifying that household air pollution in developing nations is responsible for nearly two million premature deaths per year, disproportionately among women and children. Professor Seinfeld’s body of research and publications are widely regarded as fundamental to the scientific understanding of the formation and evolution of aerosols and of the role of aerosols in air quality and in the Earth’s climate. His work connects directly to the assessment of health risks from air pollution and management to improve air quality. Management to improve air quality requires an understanding of the origins of pollutants and the areas where they will concentrate. Seinfeld dramatically expanded the understanding of smog and air quality in urban areas by modeling the chemical and physical processes that create and transform trace constituents and particles in the atmosphere. He is credited with creating the first computer model for an urban airshed and later producing the first 3-D models of atmospheric aerosols. In the 1980s, Seinfeld and his students produced a suite of papers that defined aerosol thermodynamics and provided the first conceptual framework for understanding the chemical composition and absorptive capacity of atmospheric aerosols. In the 1990s, Seinfeld initiated groundbreaking research on the origin and properties of aerosols that are organic in nature. This led to the discovery that organic material accounted for as much as half of the mass of particles in U.S. rural and urban areas. These particles are so small they need to be measured in millionths of a meter—the “ultrafine” size that poses serious health risks for people. In recent years, Professor Seinfeld has expanded his study of aerosols to include their impact on climate. He also has studied the chemical transformation of aerosol particles in clouds and the formation of new aerosol particles by the process of nucleation, and he has incorporated these findings into global climate models. Professor Seinfeld was born August 3, 1942 in Elmira, New York and grew up there. He graduated from the University of Rochester in 1964 with a B.S. in Chemical Engineering and he received his Ph.D. in Chemical Engineering from Princeton University in 1967. 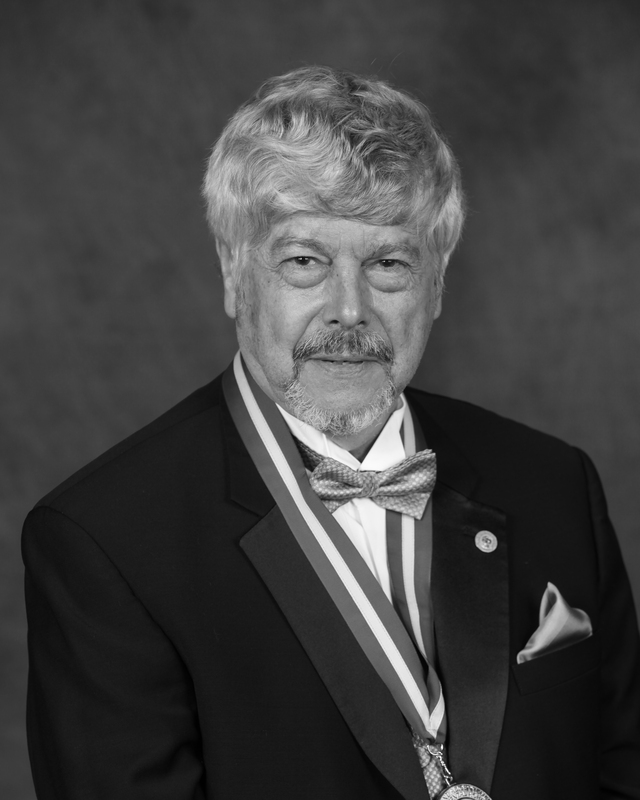 That year, he joined the faculty of the California Institute of Technology as an Assistant Professor of Chemical Engineering and has been Professor of Chemical Engineering since 1974 and Louis E. Nohl Professor since 1980. He served as the Caltech Executive Officer for Chemical Engineering (1973-1990) and as Chairman of Caltech’s Division of Engineering and Applied Science (1990-2000). In the early 1970s, Seinfeld formed a major research group at Caltech to study atmospheric chemistry, aerosols, and atmospheric modeling. Its work continues today in three overlapping areas: (1) laboratory studies of the formation and evolution of atmospheric organic aerosols, (2) airborne field measurement of atmospheric aerosols and clouds, and (3) urban, regional and global modeling of air quality. In the early 1980s, Seinfeld, together with his colleague Professor Richard Flagan, established the Caltech “smog chamber” for controlled studies of the photochemical reactions of gaseous and particulate pollutants. The large 1,000-cubic-foot reaction chamber was the first of its kind when it was built. Such chambers are now found worldwide, and they are the standard method to analyze the chemical reactions that produce urban smog and atmospheric particles under precisely controllable conditions. Professor Seinfeld served as chair of one working group and two committees for the State of California Air Resources Board (1986-1992 and 1997-2002); as a member of two groups organized by the National Research Council (1985-1988 and 1989-1990) and as chair, co-chair or vice-chair of four other NRC groups (1989-1991, 1994-1996, 1999-2001 and 2002); and as chair of the section on Atmospheric and Hydrospheric Sciences of the American Association for the Advancement of Science (2003-2004). Seinfeld is a fellow of the American Academy of Arts and Sciences (1991), the American Institute of Chemical Engineers (1995), the California Council on Science and Technology (1997), the American Association for the Advancement of Science (1999) and the American Geophysical Union (2004). He is the recipient of many honors and awards. 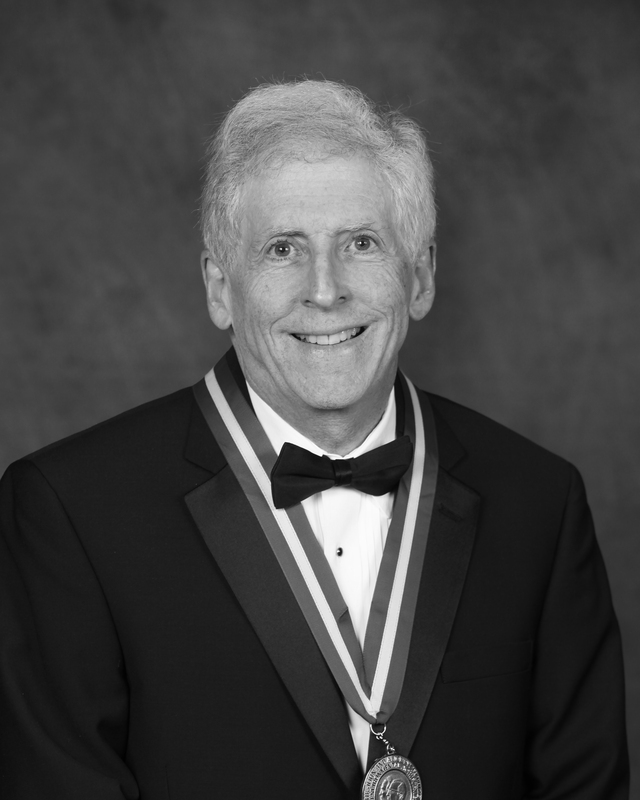 He has received two awards from the American Society for Engineering Education, five awards from the American Institute of Chemical Engineers, a Public Service Award from NASA (1980); election as a member of the National Academy of Engineering (1982); a Special Creativity Award from the National Science Foundation (1988) and a Distinguished Alumnus Award from the University of Rochester (1989). Seinfeld has received the Award for Creative Advances in Environmental Science and Technology from the American Chemical Society (1993) and the Fuchs Award from the International Aerosol Research Assembly (1998). He received the Nevada Medal (2001). Seinfeld also is the recipient of two awards named after Arie Jan Haagen-Smit, a Dutch biochemist and air pollution pioneer who was a faculty member at Caltech. Haagen-Smit became known as the “father” of air pollution control for his work at Caltech and is a Tyler Laureate himself (1974). In addition to roughly 30 honors and awards, Seinfeld has participated in 44 lectureships in more than 20 states and in Canada, Australia, France, and Hong Kong. He says that his proudest accomplishment is serving as advisor to 80 PhD’s. The 2012 Tyler Prize for Environmental Achievement is being awarded to Dr. Kirk R. Smith, Professor of Global Environmental Health at the University of California, Berkeley, in recognition of his contributions to understanding the health consequences of household air pollution from use of simple biomass fuels such as wood and cow dung. Smith has studied the air quality around rural homes in China, India, Nepal and Latin America with painstaking measurements of soot and hydrocarbon concentrations, and then, with epidemiologist colleagues, documented the health impacts that result from these exposures. In doing so, Kirk showed the resulting increases in pneumonia, cataracts, chronic lung disease, tuberculosis, low birth weight and other pollution-related illnesses among these populations. One of his colleagues, in a letter supporting his nomination for the Tyler Prize, commended Smith for “his pioneering identification of the huge, but long-overlooked, problem of indoor air pollution.” The letter noted that Smith did not stop at identifying and quantifying the problem; he then sought to understand its impact on the health of women, especially mothers and their children and to lower the risks to their health. To that end, he developed methods to evaluate technologies for cooking and heating and digital monitors to measure airborne particles, time-activity and stove performance. In the early 1990s, Smith conducted the first simultaneous measurements of health- and climate-damaging pollutants from household combustion in India and China, and he has led the study of “co-benefits” for climate and health protection from air quality improvements. Smith is considered a leading policy analyst on energy and health worldwide, and he has advised the national governments of India, China, Mexico, Mongolia and South Africa on environmental policy. He has been an active participant of the Intergovernmental Panel on Climate Change and was among the 800 scientists who shared in the Nobel Peace Prize award to the IPCC in 2007. Professor Smith is considered a defining figure in global environmental health for his work to address human health problems in developing countries caused by the burning of biomass to meet home energy needs. He was the first to recognize and document the health risks of indoor air pollution, and he has pursued solutions to it for more than 30 years. Three billion people around the world depend on biomass, not fossil fuel, for energy. According to some estimates, the burning of wood, charcoal, agricultural residues and other fuels might account for one-tenth of all human energy demand, a demand greater than that for hydropower and nuclear power combined. However, these fuels are often burned in open fires or poorly functioning stoves, and their incomplete combustion releases small particles and other constituents — primarily carbon monoxide but also benzene, formaldehyde, polyaromatic hydrocarbons and other compounds — that pose health hazards. Smith first noticed heavy smoke inside rural households while doing research on energy use in Asia in the late 1970s. In 1980, he and his students did “back of the envelope” calculations of potential indoor air pollution levels, and they indicated pollution levels so high that he found the numbers hard to believe. The estimates were confirmed by his first indoor monitoring project in 1981 in India, and Smith, his students and his colleagues went on to conduct similar exposure assessments in rural areas of Kenya, Brazil, Thailand, China, Nepal, Peru and Mongolia. His research projects revealed a wide range of health problems associated with indoor air pollution ranging from pneumonia, tuberculosis and cataracts to increased rates of infant mortality. Smith has pursued solutions to these air quality problems by developing and testing monitors for indoor air quality and stove performance. He started a project in rural Guatemala in the early 1990s to provide chimney stoves, and he has documented their impact in lower rates of low birth weight and child pneumonia and of chronic heart and lung disease in women. Smith has drawn a connection between improvements in household energy technologies and improvements in local outdoor air quality, and by describing the “co-benefits” of human health and global climate, he helped draw attention to indoor air quality and the energy needs of people in developing countries. Professor Smith was born in 1947 in Berkeley and grew up in Marin County California. He graduated from the University of California, Berkeley in 1968 with a B.A. in physics and astronomy and continued his studies there as a graduate student. In 1972, he earned a Master of Public Health in Environmental Health Sciences, and in 1977, he received a Ph.D. in Biomedical and Environmental Health with a focus on energy and environment. During his doctoral program, he participated in the U.S. Cultural and Scientific Exchange Program, serving as a lecturer in Poland, the Soviet Union, Yugoslavia and Romania (1971-1974). After finishing his doctorate, he moved to Hawaii in 1977 where he founded and led the Energy Program at the East-West Center, a U.S.-based institution for research and education on problems in the Asia-Pacific regions. He led the center’s Energy Program until 1985 and continued there as coordinator for environmental risk research (1986-95), as a senior fellow for environment and health (1995-2005) and as an adjunct faculty member (2005-present). During his time in Hawaii, Smith also taught at the University of Hawaii as an adjunct professor in geography and in occupational and environmental health (1979-98). In 1995, he returned to California to join the faculty of the University of California, Berkeley School of Public Health. He is a Professor of Global Environmental Health, the founder and director of the university’s Global Health and Environment Program and the associate director for international programs within the university’s Center for Occupational and Environmental Health. Professor Smith is most well known for being first to recognize and quantify the problems that affect millions of people in developing countries from exposure to air pollution from cooking with fuels such as wood, coal and cow dung. He also pioneered the concepts of exposure efficiency/intake fraction; co-benefits of mitigation for climate and health; the environmental risk transition; and natural debt in the environmental sciences. Smith has been employed by about two dozen organizations in various capacities—such as consultant, author and visiting scholar—and has worked on projects that cover energy (including nuclear energy), air quality, public health and sustainable development. In addition to the positions noted above, Smith has worked with organizations such as the U.S. Agency for International Development, the World Health Organization, the World Bank and the United Nations Development Programme. His professional activities have involved service at more than a dozen universities around the world and work on the editorial boards of 14 journals. Smith is the recipient of many honors and awards. In 1997, he was elected as a member of the National Academy of Sciences and of the International Academy of Indoor Air Sciences. As an active participant with the Intergovernmental Panel on Climate Change on its Third Assessment Report (2001) and Fourth Assessment Report (2007), he was among the 800 scientists who shared in the 2007 Nobel Peace Prize awarded to the IPCC. Smith has been recognized for his environmental achievements with the Heinz Award from the Heinz Family Foundation (2009); a Lifetime Achievement Award from the Mrigendra-Samjhana Medical Trust in Nepal (2009), the Senator Frank R. Lautenberg Award from Rutgers University (2009); and the Chancellor’s Award for Research in the Public Interest from the University of California, Berkeley (2008). At the University of California, Berkeley, Smith has held the Brian and Jennifer Maxwell Endowed Chair in Public Health (2003-07) and has been recognized as the Alumnus of the Year by the university’s School of Public Health (1989). In addition to these honors and awards, Smith has participated in numerous lectureships, among them the Annual Lecture to the Association of Environmental Engineering and Sciences Professors (2008); the Roy F. Weston Distinguished Lecture in Sustainability at the University of Wisconsin, Madison (2008); the Zaidi Oration at the Industrial Toxicology Research Institute in Lucknow, India (2000), and the World Environment Day speech at the United Nations University, Tokyo (1993). Professor Smith has written or edited eight books and has contributed to more than 375 other publications. His work includes writing or editing roughly 40 monographs and peer-reviewed reports; more than 200 peer-reviewed articles and book chapters; a dozen peer-reviewed issues papers; 14 peer-reviewed guest editorials and invited commentaries; more than 70 conference papers in printed proceedings; more than 50 printed conference abstracts or posters. In addition, Smith has written or otherwise produced at least 14 reviews of books, reports and films and serves as an ad hoc reviewer for about 40 journals. His publications date back to 1977 and fall into the following broad categories: air pollution in developing countries; climate implications; health effects of nuclear power; improved cooking stoves; measurements; new monitoring technologies; energy, environment and climate change, and exposure effectiveness/intake fraction. Smith also serves on the editorial boards of numerous journals including Energy, Energy for Sustainable Development, Global Environmental Change, International Journal of Occupational and Environmental Health, Journal Of Environmental Studies And Policy, Environmental Health Perspectives, and the Wellness Letter published by the University of California, Berkeley School of Public Health (the monthly letter reaches 140,000 subscribers in the U.S. and Canada). Smith is helping draft the current air quality guidelines for the World Health Organization, and he is a convening lead author for health of the upcoming the IPCC Fifth Assessment Report scheduled for publication in 2014 and the Global Energy Assessment being published this spring.